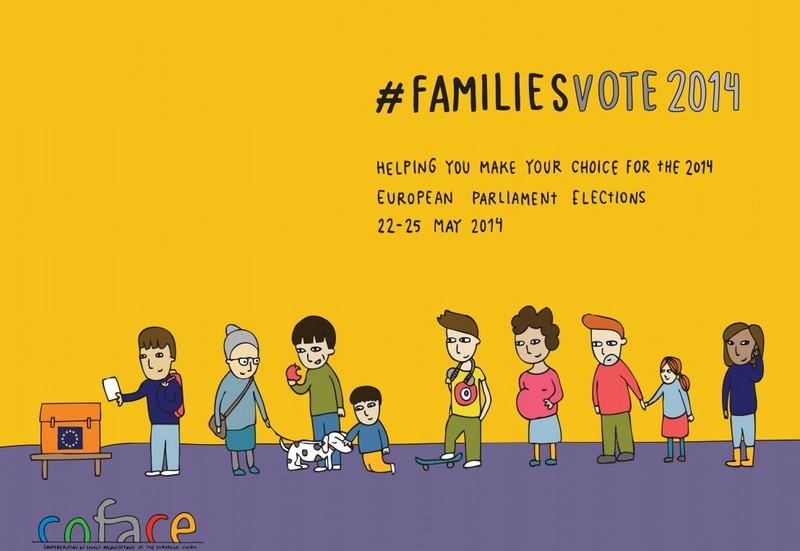 #FamilyVOTE2014: COFACE supports AGE Manifesto and helps you cast an informed vote on 22-25 May – "The Europe we want is for all ages"
My favourite sentence from the COFACE publication, #FamiliesVOTE2014, is the one from Herman van Rompuy in which he wisely reflects on what does voting mean. He writes: voting is about being informed, engaged in opinion forming and sharing, involved in discussion and debate, and, ultimately, in choosing. We think that Mr Rompuy’s words mirror back the joint work between our two organisations (AGE Platform Europe and COFACE) when it comes to cooperation, creation of debate and discussion and eventually lobbying for a common goal. In the Brussels bubble being informed also means that we usually pay special attention to the work of our fellow groups and one could not find a more informative #ep2014 related political manifesto on how to transform Europe’s environment into an age friendly one if he or she wanted to. To supplement AGE Europe’s excellent informative (coordinating, blogging and tweeting) work on the swiftly approaching EU elections, Dear Reader of this blog post, I would like to bring to your attention COFACE’s publication, which intends to ease European families’ headache when it comes to choosing and electing candidates/parties at the European elections in May, thus, backing European political groups and their dogmatic programs. In this paper four EU level parties showcase their multi-coloured social and family policy related work programme headed for the next five-year term (2014-2019) of the elected European Parliament. Particularly, let me highlight some of the reactions of the political groups that are matter of serious concern for people 50+, touched upon at #FamiliesVOTE2014, in the area of caring and family carers. We all know that caring for ageing relatives is one of the major difficulties European families must face nowadays. In response to this growing problem we are happy to see that in its statement the EPP Group shows high commitment in supporting any proportionate initiative at Member State and European level, which would better carer’s rights, entitlements and recognitions. Simultaneously the SβD Group highlights that the issue of dependency should be given legal status at EU level as well as the role of care givers. Greens recognise the job creation possibilities in providing care support and also how this can help carers maintain their own paid-work possibilities. In sum, whether you decide to read AGE’s comprehensive manifesto or COFACE’s meaty publication, or both, we’d like to encourage you, European citizen and voter, to stay informed and keen to learn from the political programmes of the various party-political groups and, most importantly, cast your vote in May. Read more on COFACE here and download COFACE Publication #FamilyVOTE2014 here. Previous Elections européennes: Pourquoi aller voter le 25 mai? Next Finland: Vote in EU elections! Äänestä EU-vaaleissa!